What happens to Buccaneers and Manchester United after Malcolm Glazer? - Sports Value Consulting, LLC. What happens to Buccaneers and Manchester United after Malcolm Glazer? 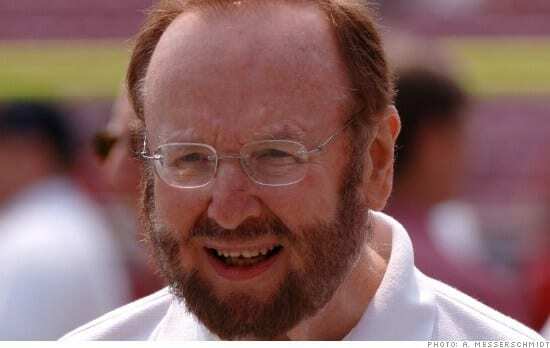 The billionaire owner of the NFL’s Tampa Bay Buccaneers and the Premier League’s Manchester United FC has passed away. Here’s a look at what his death means for the two very different sports franchises. When Malcolm Glazer first acquired the necessary shares needed to become sole owner of the Manchester United soccer club in 2005, there was widespread fan outrage. A group of diehard Man U. supporters even came together to found the F.C. United of Manchester (see what they did there? ), still an active team today in the less glamorous Northern Premier League. But despite fears of American corporate influence on the elite British squad, it hasn’t exactly cost any wins (though the most recent season was a poor one): Manchester United won the Champions League title in 2008 and made the Champions final in 2009 and 2011. The team’s star forward Wayne Rooney is one of the five highest-salaried soccer players in the world. It remains, to many sports fans in America, the New York Yankee equivalent of the global soccer world. Now Glazer, who suffered a stroke in 2006 that left him in poor health, has passed away at 85, the Buccaneers confirmed on Wednesday. In the wake of Glazer’s death, you might be wondering what will change for the two teams he owned. The short answer is: not very much. Glazer had a longtime succession plan in place to keep both teams in the family. In its official statement on his’s death, the Bucs (which refused further comment beyond the press release) referenced Glazer’s “long-established estate succession plan” and said, “Linda Glazer, along with their five sons and daughter, will continue to own and operate the team as they have throughout the family’s ownership.” Expect Linda to become the public ownership face of the team, while sons Bryan, Edward and Joel, currently the co-chairmen of the team, will likely become its co-presidents. (Malcolm, previously, was owner as well as president.) If one son becomes the sole president or assumes more of a leadership position, even if not in title, it could be Bryan (even though he is known to be quiet and reserved) because, of the three co-chairmen brothers of the Bucs, Bryan is the only one who is not also a co-chairman of Manchester United. The Glazers were undoubtedly a good thing for the Tampa Bay Buccaneers. The Bucs won their first Super Bowl in the 2002 season, over the Raiders. (A Tampa Bay Times columnist called Malcolm Glazer “the best thing to happen to sports in Tampa Bay.”) After that, the team won its division, the NFC South, in 2005 and 2007. Manchester United, too, will still be run by the family, but its management structure is a bit more complicated, only because so many Glazers hold positions of power. Brothers Avram and Joel are the club’s executive co-chairmen, while four more Glazers—Kevin, Bryan, Darcie and Edward—are all on the board of directors. But it is a non-family member, Ed Woodward, who has been the face of the team’s management. The club’s executive vice chairman since David Gill stepped down last June, Woodward (who is barely 40) is responsible for the club’s commercial strategy and trade negotiations. He took the brunt of the blame for the club’s player decisions made last summer, and as Bleacher Report wrote this month, it will fall to Woodward to redeem the club and make the right moves during the coming trade window. Expect Woodward to continue to be the face of the team from the business side of things. Sports-marketer Bob Dorfman, partner at Baker Street Advertising, says that the management of both teams is unlikely to change soon, mostly because, due to his health, Malcolm had already been removed from the day-to-day operations for quite some time. And Dorfman says that in the long-run, the children could usher in change. For the Buccaneers, “the younger generation could bring in more technology, more of a digital angle to the business, more cutting edge kind of things,” says Dorfman. As for Manchester United, despite the early grumblings of fans in 2005, most would have to say that the team has been successful under Glazer ownership. This year in particular was a big disappointment because the team did not finish in the top four in the Premier League, which is almost unheard of for Man U. That, Dorfman says, is a big deal and overshadows past successes. “It’s like the Yankees finishing below .500.” Still, he says, “I think the fans are less upset about the ownership right now, it’s more blamed on the managerial changes after Alex Ferguson,” the team’s legendary former manager. Indeed, David Moyes, Ferguson’s successor, was let go after just one season of his six-year contract, and much-revered former manager Ferguson reportedly aided in the search for a new manager that arrived at Dutch manager Louis van Gaal, who will take over after the World Cup. How big of a sports market is the Seattle area, anyway?